The terms User Experience (UX) and User Interface (UI) has been inadvertently mistaken with one another in the mobile app development industry. The user interface is way different from the user experience. Are the terms confusing for you as well? 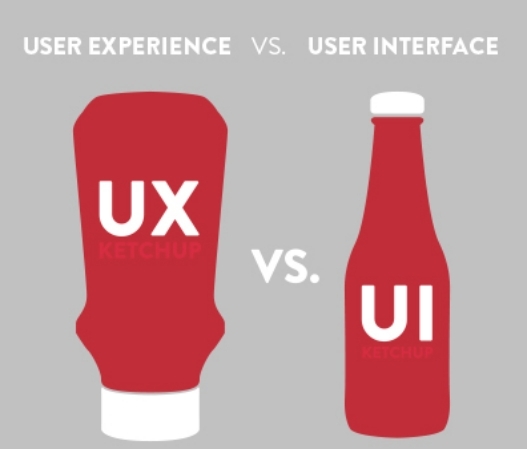 Let us first discuss the basic definition of both UX and UI. The UI and UX are the most prominently used words in app development. While these two terms are often confused to be the same, there is a wide difference between the two. The UX refers to the feel and experience of the user once he delves into the app. While the UI refers to everything designed into the system. In layman’s word, the UX addresses how a user feels, while usability is about the user-friendliness and efficiency of the interface. Where UX is a more concerned to the analytical and technical fields, UI Design is closer to what we refer to as graphic design. Despite referring to two different parts of the process, both the elements are crucial for an efficient mobile app development. Merging the two concept together, every mobile app needs to have an effective User experience design (UXD or UED). This is a process of improving the usability and enhancing the customer satisfaction, thus, ensuring loyalty. Having discussed the basic meaning of both the terms and how they are related to each other, one of the obvious progression is to bridge the gap between the two. Here are few of the UI fixes that can take UX to the next level. There is a gigantic difference between what people are using and what they actually want. The ultimate goal of any app is to cater the end user effectively. However, if asked personally everyone can give you a different requirement and you may end up building a feature that no one will actually use. So, instead of listening to the users, just take a close look at what they are actually using. Analyze the way people are using your services. According to Jacob Nielsen, giving the users a survey to fill out after they’ve participated in a formal user test is a good usability testing strategy. This ensures that the feedback that you can use further to get fully engaged. Having discussed earlier that the interface is not everything that implies the experience of a user. Yet, focusing on the design part is important to create the initial buzz. However, if you think that a visually appealing design will blow away the user, then, you need to reconsider. The fact is having a poor design is better than a bad UX. Avoid this gap in the first place. Consider fixing the usability errors instead of concentrating on creating the ‘wow’ impact. Avoid confusion and ambiguity while designing the app. Use common symbols and icons in order to convey the message to the users. An ideal UI of a mobile app cut down the use of need of a user manual. The confusion regarding how to app works is one of the major reasons of uninstall and exit rates. Development and implementation are just half the battle won. You need a detailed analysis of the factors that are drawing attention and the things in the app that are not being used. Remove the unvalidated fields of the app. Keep the user informed on what’s happening. For instance, provide feedback when a screen is loading. This will also enhance the UI. A highly responsive app is not just concerned with the load time, but with the basic design as well as the. Keep the interface consistent across the app. Don’t just show the user a big long tour for what they need to watch. Instead, force them to interact with your product. Removing these interactions increases their retention. However, in the process of interacting with the user, avoid using the tips and guiding arrows as it may distract them. The user interfaces should be consistent with what they already know. This may appear to be a yet another designing hack, but it is actually way more than that. An improved search functionality can lead to jolly shoppers. While the search function in the websites is taken care of, in the mobile apps it is considered as a task that can be done soon in the future. As per a statistics, 50% of your users are using your search function as their main point of navigation. Check out our post on how to improved eCommerce website search functionality and help the user land to the page they wish to visit. People may get attracted to the ‘wow’ factor of your app’s design, but they will gradually part ways if they get an effortless interface. A mobile app can flourish only if the user pain points are resolved. Even though UX and UI are different aspects, they should be worked together in order to build a great product that can engage users for long.